His murder was almost certainly racially motivated! 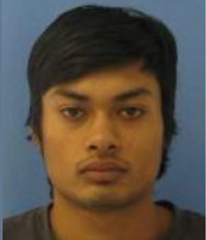 The body of 22-year-old missing Indian man Rahul-Nathu Dahya has been found, police said. The victim was reported missing on Tuesday 5 March after failing to arrive at an appointment in Mangaweka on the previous day. The 43-year-old American who lived in Auckland had last been seen leaving a property in Mairangi Bay, North Shore, around 4pm on Sunday 24th February. A 41 year-old Kingseat man was arrested for the murder of Mr Chance outside a Mt Eden bar, police said. Murdered: Body of the missing American Denver Chance, 43, has been found. After an extensive investigation into the disappearance of Mike Zhao-Beckenridge and John Beckenridge, Police will now be referring the case to the Coroner. The pair were last sighted in the Catlins in March 2015. Missing Masterton man Gurwinder Singh Dandian, 26, was last seen near a beach 1.5 km east of Cape Palliser Lighthouse around 4.30-5pm on 5 March. Items belonging to Gurwinder, including his vehicle, have been located in the Cape Palliser area. 21-year-old Campbell Marr was last seen on Friday 8 March in Timaru, police said. [It’s unclear whether he’s actually missing or participating in a police “feel-good” disinformation campaign. ] Photo supplied by NZ poolice. W A R N I N G : Geophysical Assaults on New Zealand!